Punjab has put its six border districts – Ferozepur, Tarn Taran, Amritsar, Gurdaspur, Pathankot, Fazilka – on high alert. New Delhi: Anticipating a retaliation from Pakistan after the IAF strike at Jaish-e-Mohammed’s biggest terrorist training camp at Balakot in Khyber Pakhtunkhwa province, several cities along with Delhi and Mumbai have been put on “highest alert” for the next 72 hours. Punjab has put its six border districts – Ferozepur, Tarn Taran, Amritsar, Gurdaspur, Pathankot, Fazilka – on high alert. As part of the state’s preparedness to deal with any contingency in view of the IAF strike, CM Amarinder Singh on Tuesday chaired a high-level law and order review meeting and ordered a spate of measures. However, the meeting arrived at the conclusion that there was no need to panic and decided against evacuating the border areas. 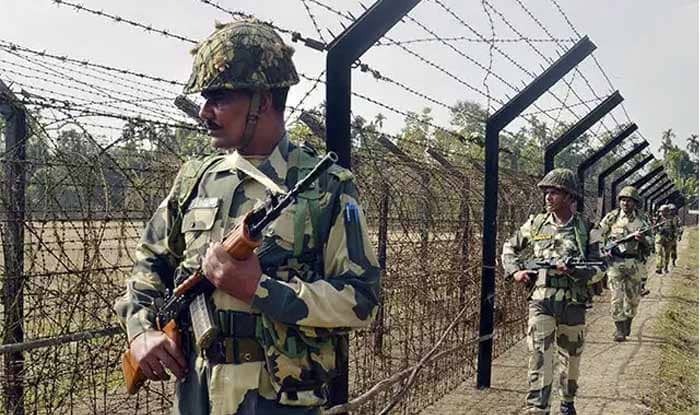 Rajasthan, which shared an over 1000-km-long border with Pakistan, has prohibited all movements of civilians within a 5-km radius from the international border between 6 pm and 7 am till the first week of April. Meanwhile, Gujarat Chief Minister Vijay Rupani also chaired a high-level meeting to review the security situation in the state as it shares both land and sea border with Pakistan. Post the pre-dawn air strikes, the state was put on high alert and orders were issued to step up vigil at public places and important sites like the Somnath Temple and the Statue of Unity. The Western Naval command said it is on “high alert and fully prepared” to tackle any eventuality. The Mumbai Police are also on a high alert following the air strikes, the official said. Mumbai, the financial capital of the country, has been one of the most preferred targets for terrorist organisations and has witnessed several terror attacks, including explosions in Mumbai suburban trains in July 2006, and the unprecedented attacks of 26 November 2008, when two prime hotels, a landmark train station, and a Jewish Chabad house were attacked. The Himachal Pradesh police also sounded an alert for all districts in the state. It has also been advised to pay more attention in communally sensitive localities and to ensure safety and security of Kashmiri people living in the state. In a swift and precise air strike following the Pulwama attack, India bombed and destroyed Jaish-e-Mohammed’s biggest training camp in Pakistan early Tuesday, killing a “very large number” of terrorists, trainers and senior commanders, officials said. Following the IAF strike, a baffled Pakistan said it shall “respond at the time and place of its choosing” with PM Imran Khan directing the armed forces and the people of Pakistan to remain prepared for all eventualities. Khan has called a meeting of the National Command Authority on Wednesday, which controls Pakistan’s nuclear arsenal. Even though Pakistan denied that the Indian Air Force had struck a terrorist camp and caused heavy casualties, DG (ISPR), Major General Asif Ghafoor told the press in Islamabad that they would definitely respond and surprise India. However, Times of India quoted sources in an intelligence agency saying that their analysis does not indicate a direct retaliation from the Pakistan army, which is under immense pressure from other nations. In fact, the real threat is from sleeper cells and Jaish-e-Mohammed cadres active in Kashmir, the report added. “The retaliation is being considered imminent also because Jaish has always struck back when the kin of Masood Azhar has been targeted. They do it to keep their brainwashed Mujahideens convinced about their might. It happened in the case of Talha Rasheed and Usman, the nephews of Masood Azhar. This time too, many of his relatives including brother-in-law Yusuf Ghouri, have been killed,” Times of India quoted an intelligence source as saying.